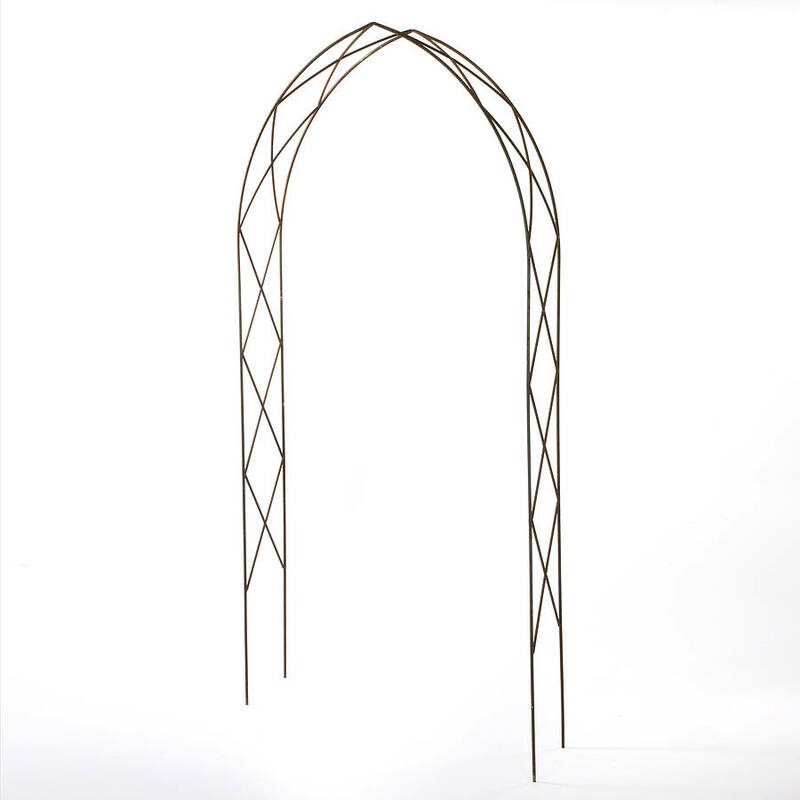 Our gothic arches are simple, plain and very elegant. 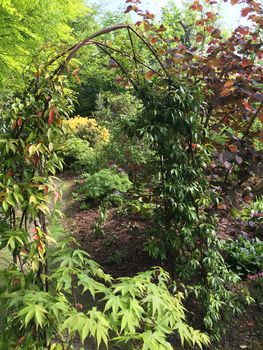 These elegant, architectural gothic arches are perfect when used singly to frame a garden seat, or doorway or gateway, or use in pairs or threes along a path. We leave the steel uncoated so that it develops a natural oxide and it soon achieves a lovely mellow rust patina that blends seamlessly into your garden year-round. We can make anything to your exact dimensions - any depth, width or height, to frame a doorway or garden seat for instance. Solid 12mm mild steel; they will not bend or break and are guaranteed for 25 years. No flimsy tubular steel frames, no flatpack assembly. The joints are double-welded for strength and are delivered as a single structure. We deliver them to you personally because of their size.